A hefty amount of Rs 5.96 crore is to be paid by Kolkata- based AMRI Hospital and three doctors to a US-based Indian-origin doctor as compensation for medical negligence which led to the death of his wife in 1998. The Supreme Court bench of Justices SJ Mukhopadhaya and V Gopala Gowda has asked the hospital and the three doctors to pay the amount to Kunal Saha, an Ohio-based AIDS researcher within eight weeks. In 2011, a compensation of Rs 1.73 crore was awarded by the National Consumer Dispute Redressal Commission (NCDRC) to the doctor whose wife Anuradha Saha had died in 1998 following faulty treatment administered at the hospital. The apex court, however, has raised the amount of compensation and asked the hospital to pay an interest at the rate of six per cent to Saha. NCDRC had fixed the compensation on a direction by the apex court, which had referred Saha's appeal to it while holding the three doctors and the hospital culpable to civil liability for medical negligence which had led to the death of Anuradha. A plea by Saha was made before NCDRC, demanding for a record Rs 77 crore compensation. NCDRC compensated Saha for his wife’s death by awarding Rs 1, 72, 87,500/- and held the US doctor responsible for contributing to the negligence committed by the three Kolkata doctors and the hospital. The compensation amount was reduced to Rs 1.55 crore as NCDRC further ordered 10 per cent deduction in the amount of compensation. After complaining of skin rashes on April 25, Anuradha, herself a child psychologist had consulted Dr Sukumar Mukherjee, who asked her to take rest without prescribing any medicine. Noticing that the rashes reappeared more aggressively on May 7, 1998, Dr Mukherjee prescribed Depomedrol injection 80 mg twice daily, a step which was later faulted by experts at the apex court. Anuradha's condition deteriorated rapidly after administration of the injection, following which she had to be admitted at AMRI on May 11 under Dr Mukherjee's supervision. She was taken to Breach Candy Hospital, Mumbai, as there were no signs of improvement in her condition. Breach Candy Hospital later declared her condition to be a serious case of a rare and deadly skin disease--Toxic Epidermal Necrolysis (TEN). On May 28, 1998, she died in Mumbai. A criminal as well as civil case was filed by Saha against the doctors and both the hospitals on the ground that they were grossly negligent in her treatment leading to her death. 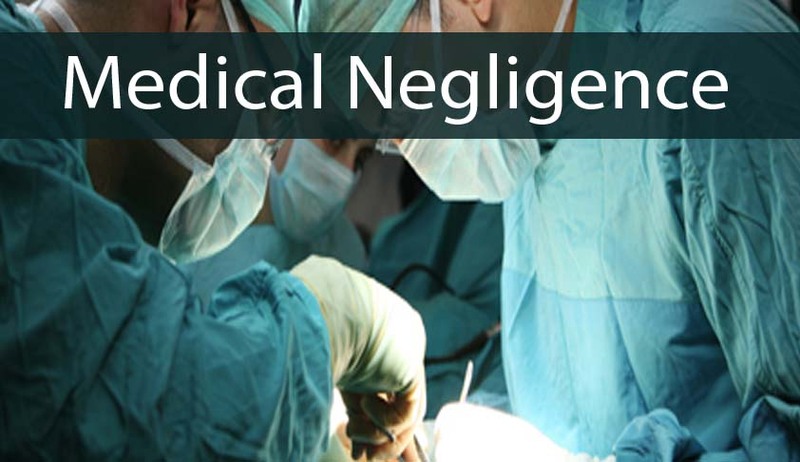 In 2009, though the apex court cleared the doctors and the hospitals of criminal liability for medical negligence, it had held them culpable of civil liabilities. The apex court referred Saha's plea for compensation under provisions of the Consumer Protection Act to NCDRC, which, had in 2006 dismissed, the case. Following the NCDRC judgment, the apex court was once again moved by Saha. The three doctors filed an appeal for the court.